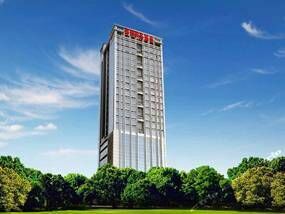 The New Times Hotel (Shenzhen Xinshidai Jiudian) is located on Jiabin Road near the intersection of Peace Road in the commercial Luohu District of Shenzhen. It is close to a subway station and the Dongmen pedestrian shopping street. Area attractions include Diwang Tower, Shenzhen Book City, King Glory Plaza, and International Trade Centre. It is 40 kilometers from Shenzhen Bao’an Airport and about 65 kilometers from Hong Kong International Airport. The hotel offers 274 guest rooms and suites, featuring floor-to-ceiling windows, and equipped with broadband Internet access, cable television with pay movies, air conditioning, telephone, electric kettle, and sofa. Room service is available. The 25-story hotel property features restaurants, a tea house, bar/lounge and coffee shop, concierge services, ATM banking, currency exchange, ticket office, and laundry service. Recreation facilities include an outdoor swimming pool, fitness center, tennis court, chess, mahjong, disco, and karaoke. Business amenities include a ballroom, meeting rooms, and a business center. New Times Hotel has an outdoor tennis court, an outdoor pool and a fitness facility. Public places offer free wireless Internet service. This 3.5-star hotel features business amenities including a business center and meeting rooms. This business hotel offers coffee shop and a bar / lounge. Other hotel facilities include a nightclub and room service (part-time). Guests can take a roundtrip airport shuttle (24 hours), the cost of another. 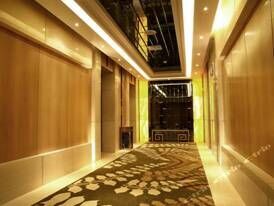 New Times Hotel Shenzhen offers 274 rooms with a minibar and a coffee / tea maker. The hotel offers free wired broadband Internet service. TV with pay movies. All rooms are equipped with a desk and a telephone. Rooms have refrigerators and complimentary bottled water. It offers housekeeping service (daily). 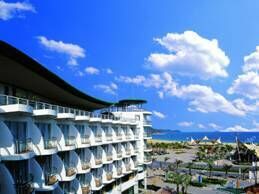 The Airland Hotel is located in the east of Shenzhen ——-the beautiful Dameisha beach. It is evaluated as the 4-star hotel by National Tourism Administration. The Airland hotel is surrounded by the mountain and sea, with a high quality and elegant design. The scenery is just like a painting and you could enjoy the beautiful sightseeing in the 206 rooms of Airland hotel. This new hotel is located in Yantian, outdoor tennis courts, indoor swimming pool and a private beach. Arran hotel offers airport shuttle service, while providing free Wi-Fi. Facilities include meeting rooms, exhibition space and a massage. 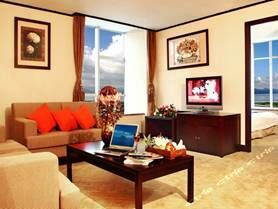 Each room features modern decor, air conditioning and a minibar, slippers and a fridge. In the rooms you can use the free coffee and tea provided by a hot drink. Arran hotel guests can enjoy Chinese dishes at the on-site restaurant, for those who want to enjoy their meals in the surrounding, its location is quite convenient. Arran walked away from Meisha Beach takes only 20 minutes. 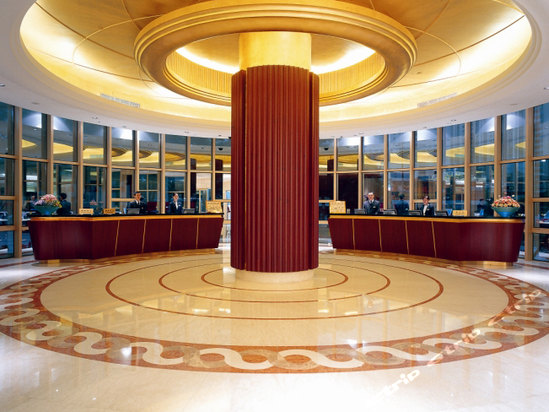 Nice desk staff are happy to book excursions and activities during your stay in Shenzhen. 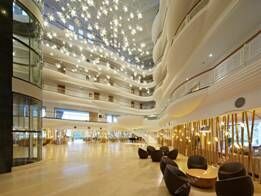 The Shenzhen Grand Chu Hotel (Shenzhen Chutian Dajiudian) has been renovated in 2010. All rooms are furnished with memory pillows and cozy mattresses. The Chinese restaurant offers a solid selection of cuisines from spicy Sichuan and Hunan cuisines to authentic Cantonese food. Those organizing meetings, presentations and other events have several multi-functional halls and conference rooms equipped with video conference facility at their disposal. A sleek nightclub, refreshing saunas and chess and cards are among this Shenzhen hotel’s recreational offerings. This hotel features a full-service spa, a nightclub, and a steam room. Additionally, spa services, 24-hour room service, and a business center are onsite. 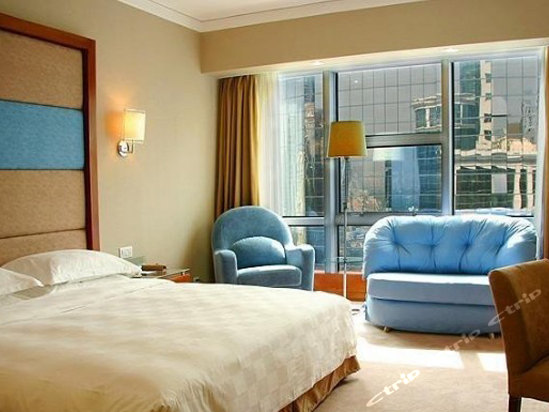 The Bon-Garden Business Hotel (Shenzhen Boyuan Shangwu Jiudian) is situated in the heart of Shenzhen’s Futian District. Metro Line 1 is only 500 m (547 yd) away and a 30-minute car ride sees guests to Baoan International Airport. 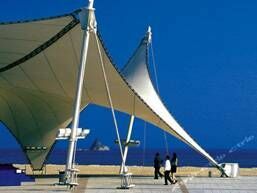 The Convention and Exhibition Center is ten minutes away, while the Luohu Railway Station is 15 minutes away. The hotel provides a wide range of choices and features the largest standard rooms in town (average 34 sq m), luxurious business floors on the 21st and 22nd floors, and smoke-free floors. All rooms are equipped with high-speed internet access, large screen LCD TVs, independent bathrooms, personal safes, and independent air conditioning. Recreational facilities include a sauna center, and a Korean-style KTV. Less than 20 minutes’ stroll from Zhuzilin Metro Station, Bon-Garden Business Hotel offers guests a convenient base when visiting Shenzhen. It also offers a sauna and a coffee bar. 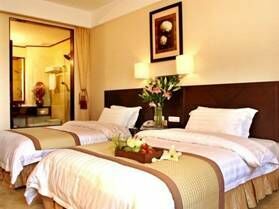 Bon Garden Business Hotel Shenzhen has recently undergone refurbishment and provides babysitting / child services, meeting rooms and a currency exchange. Internet is available for those wanting to stay online while travelling. 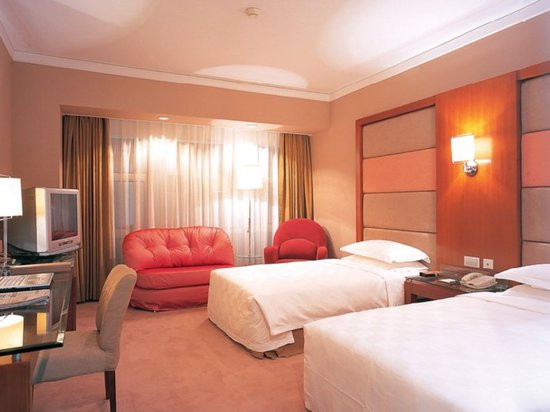 Every comfortable room at Bon-Garden Business Hotel features a refrigerator, a flat-screen TV and a mini bar. Also included are an in-room safe and a telephone. The on-site restaurant offers Chinese dishes in a traditional setting. 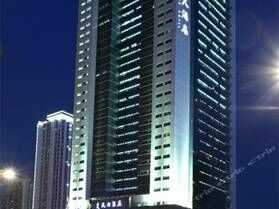 Attractions near Bon Garden Business Hotel Shenzhen include Shenzhen Bay and Overseas Chinese Town. The hotel also provides parking for those travelling by car.